Not surprisingly, big box retailers like Best Buy and Office Depot don't always honor their own price matching policies. The guys at HD Guru have exposed the problem, and offered up a few tips. After reading a recent article in Laptopmag that claims Office Depot associates are told to prevent customers from buying sale laptops unless they pick up extras like software, warranties and in-store setups, HD Guru visited three Best Buy locations in the New York area and discovered similar shady shenanigans. Despite having a competitor's advertisement that featured a Panasonic TV for $700 less than Best Buy's retail price, the salesman at all three stores denied to price match on the grounds that the tv "was on sale for three days and Best Buy's price match policy exempts limited time sales." 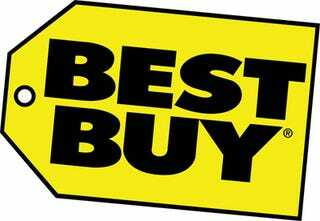 It is important to note that Best Buy does not have a "limited time sales" exemption in their policy. After one of the managers was confronted with this information, he decided to make an "exception" and go ahead with the price match—although they later cited another non-existent policy to deprive the purchaser of the advertised free delivery on any HDTV $999 and up.